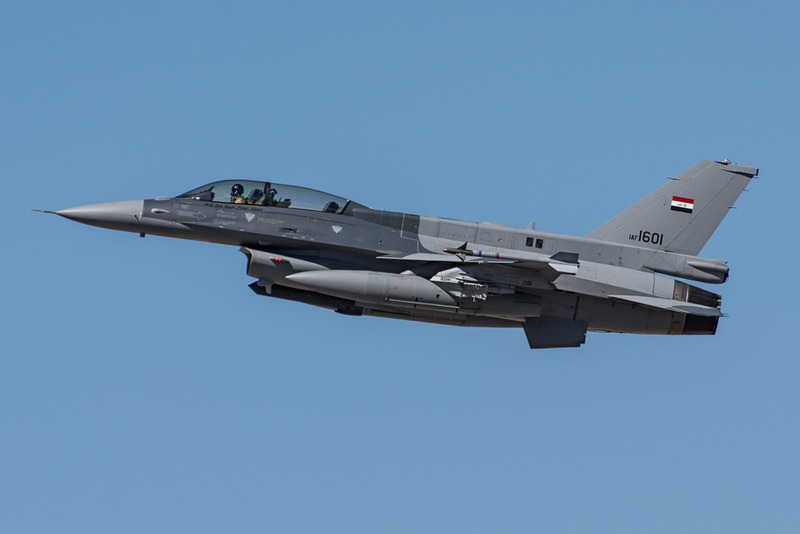 According to a report on Scramble.nl, a source for aircraft movements worldwide, at least four Iraqi Lockheed Martin F-16IQ block 52’s landed at Lajes Field, located in the Azores, Portugal, on Thursday evening. 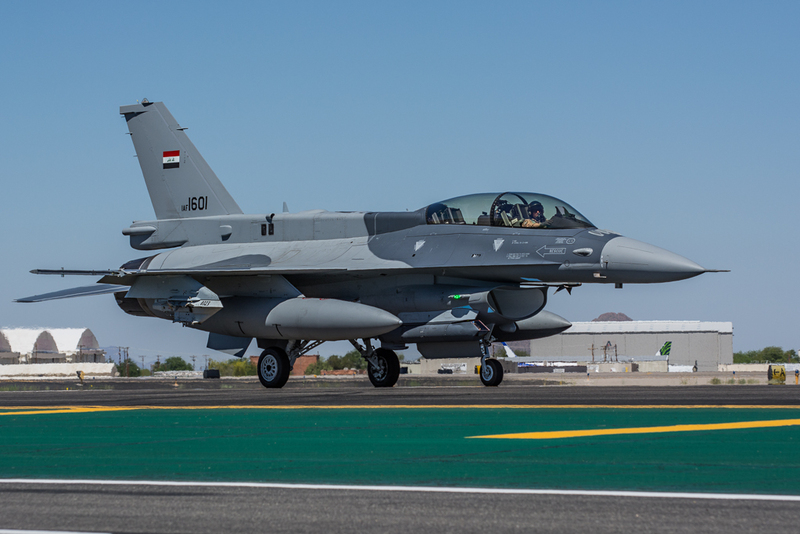 The departure of the F-16’s from Tucson International Airport signifies the readiness of Joint Base Balad, located north of Baghdad, to receive the aircraft. 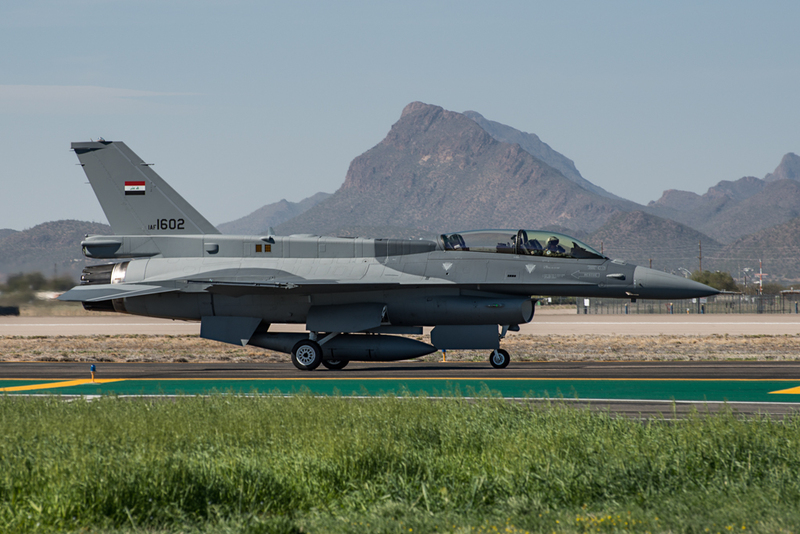 Iraqi pilots, and several Iraqi F-16’s, were in Arizona training with the USAF’s international F-16 schoolhouse, the Arizona Air National Guard’s 162nd Fighter Wing (162 FW), based at Tucson International Airport. 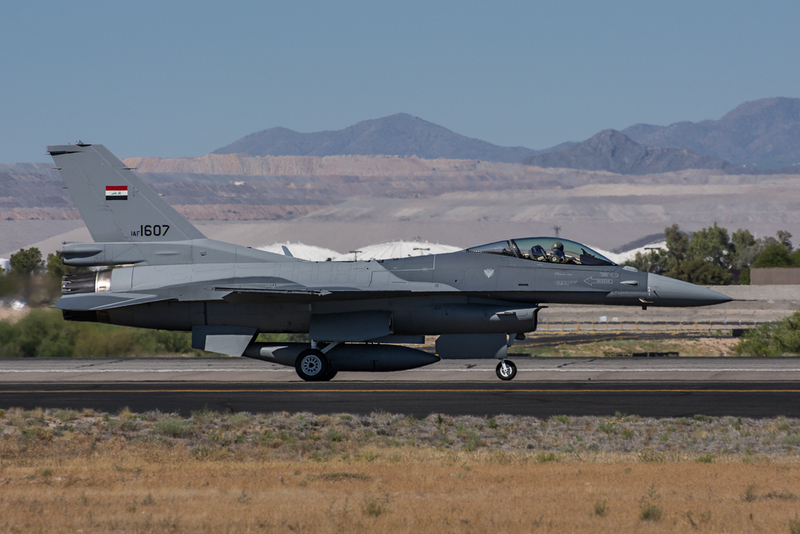 The F-16’s were to remain in Tucson until Joint Base Balad was deemed safe enough to receive the aircraft. 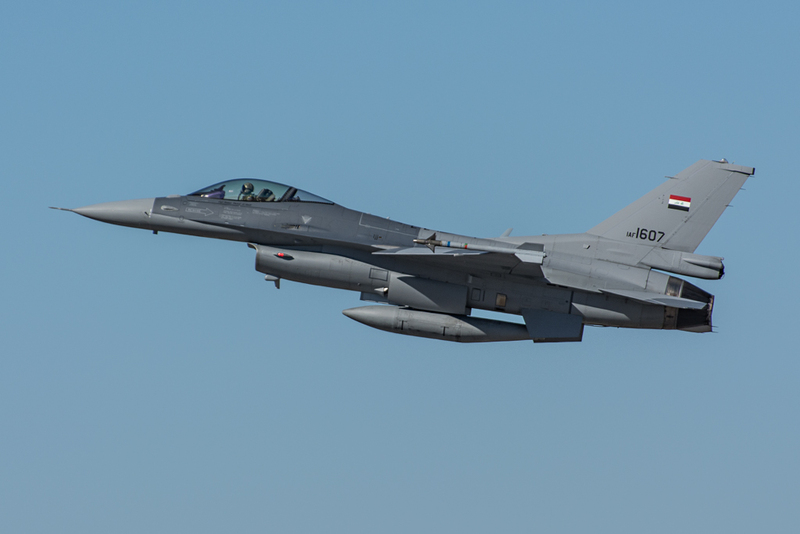 Iraqi purchased 36 F-16’s, of which only seven have been delivered to Tucson from Lockheed-Martin in Fort Worth, Texas. 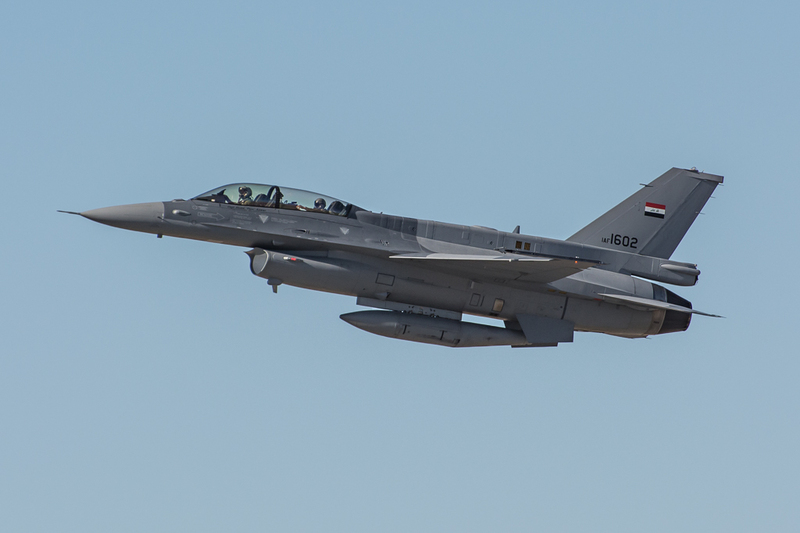 While delivery of the F-16’s to Tucson began in late 2014, Iraqi pilots have been training with the 162 FW since 2012. 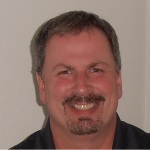 The training was without incident until tragedy struck on June 24, 2015. 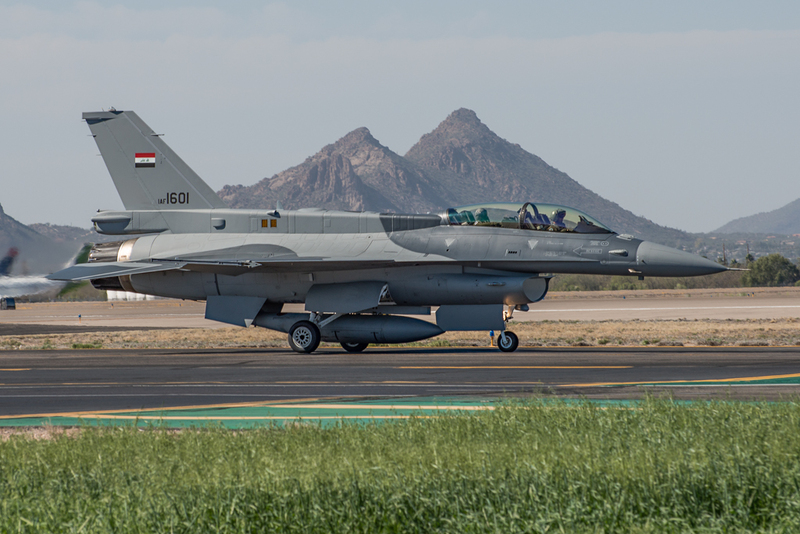 An Iraqi F-16 piloted by Iraqi Brigadier General Rasid Mohammed Sadiq, on a night training mission, crashed near Douglas, Arizona. Brigadier General Rasid Mohammed Sadiq was killed in the crash. 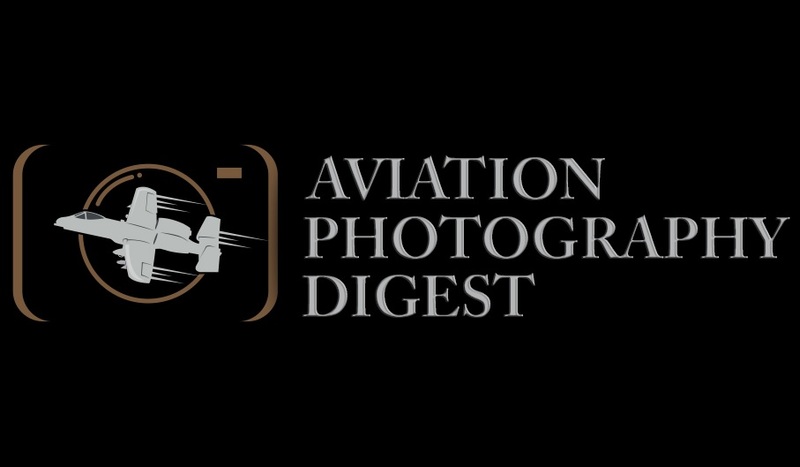 The cause of the crash is still under investigation. 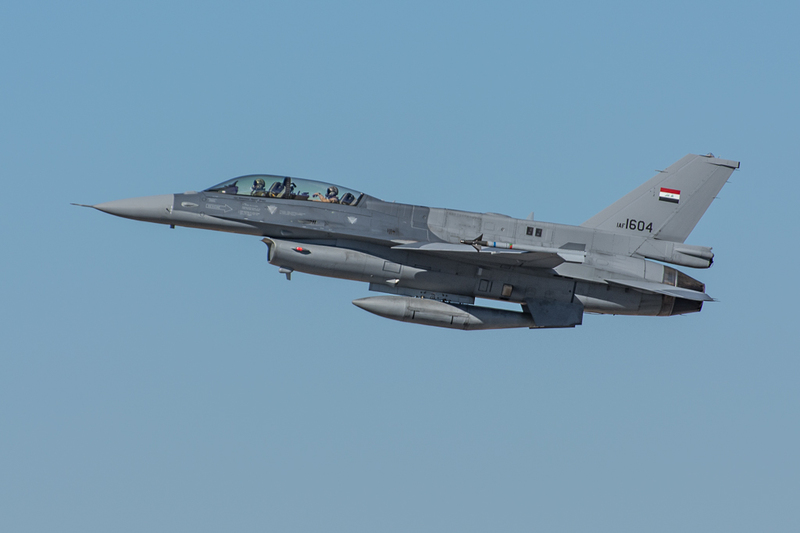 Originally, it was reported that an F-16 “D” model IqAF “1601” was the aircraft that crashed. 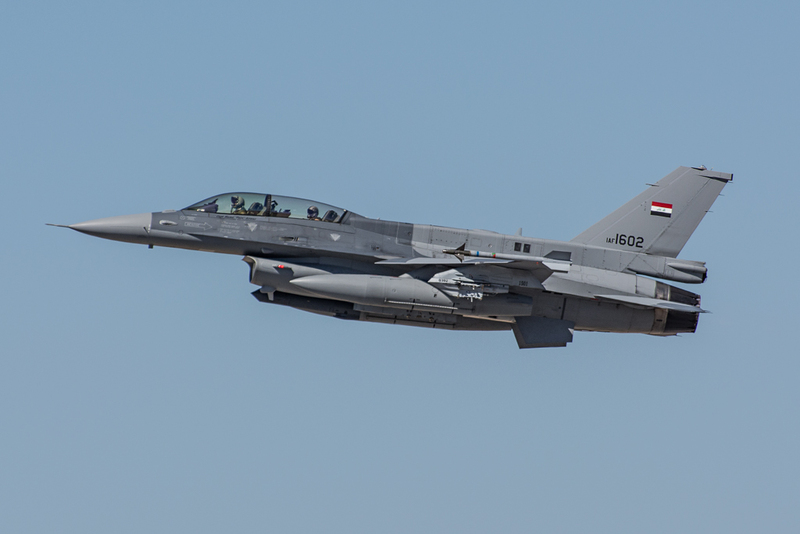 Now it appears that it was a “C” model IqAF “1609”. 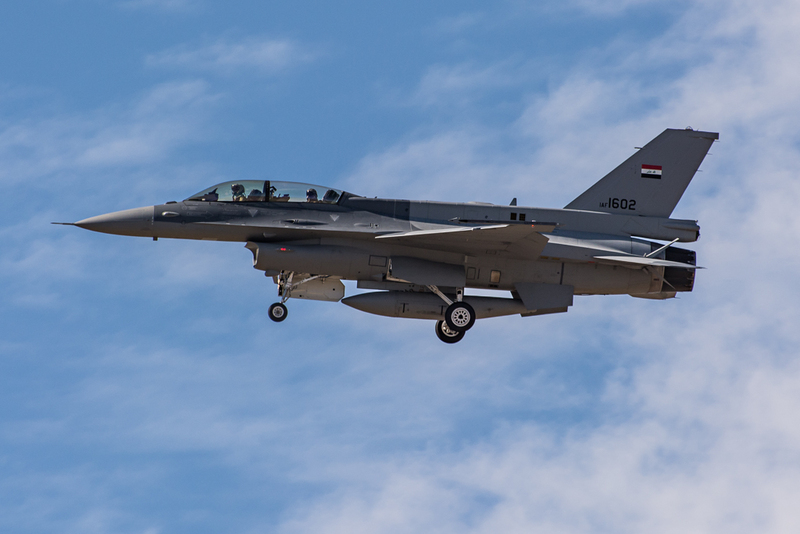 While the Iraqi Lockheed-Martin F-16’s are Block 52’s, they are not capable of some of the more sophisticated weapon systems found typically in the Block 52’s. 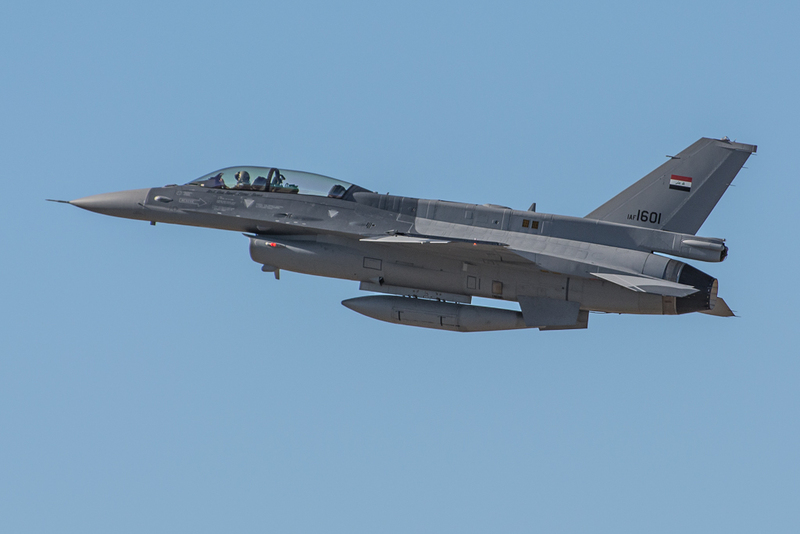 It is not known if the F-16’s will spend some time in the Azores before heading to Iraq. 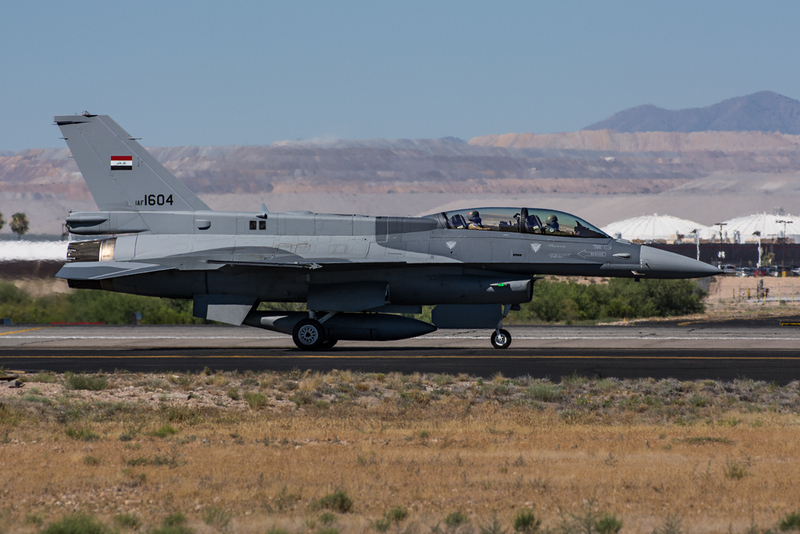 Also, not all of the Iraqi F-16’s have left Tucson yet. 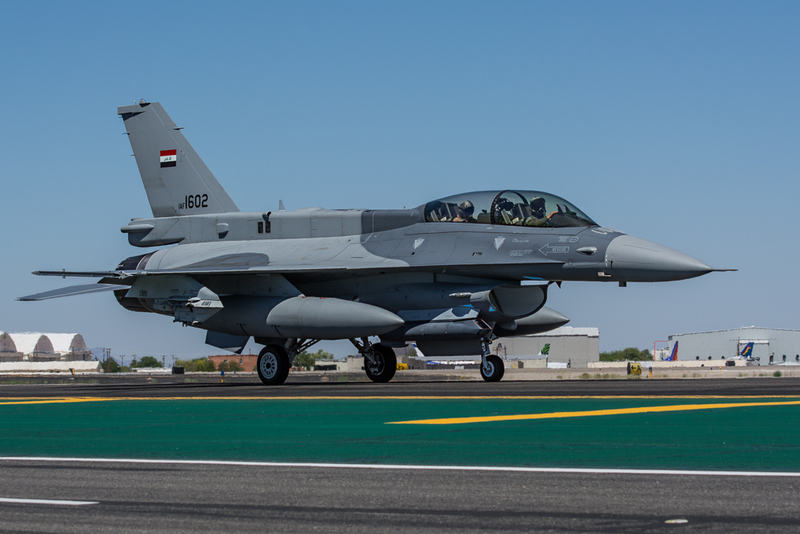 Although complete military independence could take years, the delivery of the F-16’s to Iraq signifies another step in the quest for self-sufficiency for the Iraqi military.